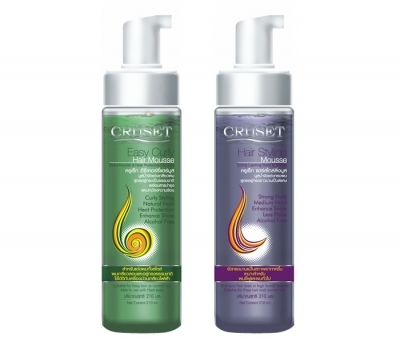 Cruset Hair Styling Mousse 210 ml. Natural hold styling mousse specially formulated to create a curl with curling iron or hair rolls. Hard hold styling and long-lasting even in high humid weather.